Click here to learn more about our Greenburgh Traffic Defense Practice. 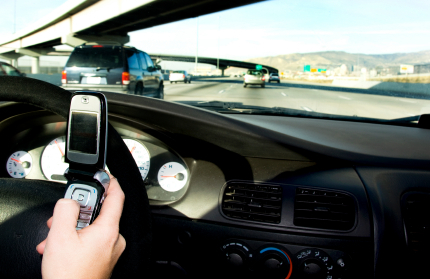 May 2011 -- the New York Senate has passed a bill that enhances penalties for texting while driving. Essentially, the law makes texting while driving a primary offense. This means an officer can pull over a car for no other reason other than texting. New York’s ban on texting while driving is a two point violation. It is one of more than 30 states with a similar statute. In light of the point consequence and changes in the law, a conviction to texting while driving can cause an increase in a driver’s insurance. About Our Firm: At Villanueva & Sanchala, PLLC we excel at getting tickets dismissed or reduced. Our team of traffic and criminal defense lawyers is lead by former prosecutor Joseph P. Villanueva. As a former prosecutor, he can help in analyzing critical issues in your case and work to give you the best defense possible. If you have a speeding ticket or traffic ticket anywhere in New York State, give us a call at 800-893-9645. Our firm an be frequently found representing clients throughout New York State. Some courts that we often represent clients include South Hampton Traffic Court, Monticello Traffic Court, Georgetown Traffic Court, and Wawayanda Traffic Court.